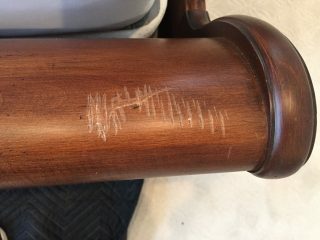 Don’t slide your boxspring over your footboard! If you do and scratch it up because of the staples lurking on the underside, have no fear. 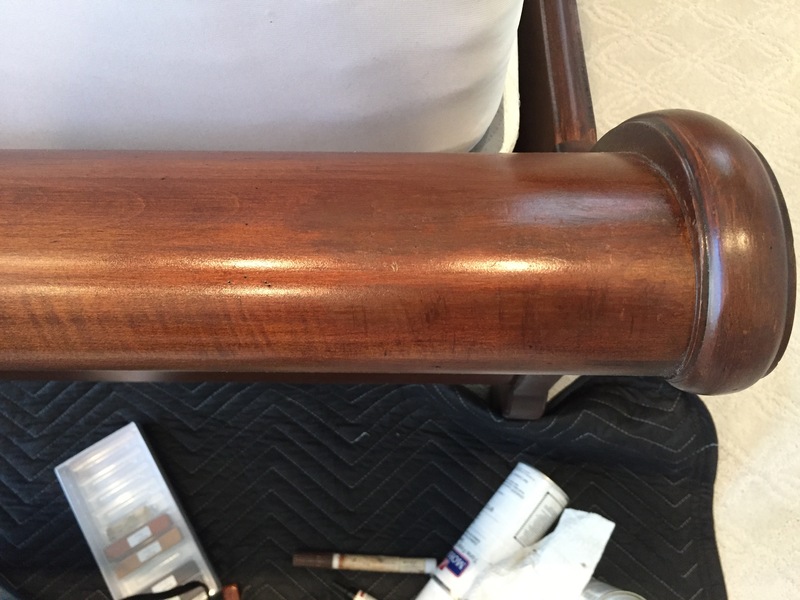 Missing clear coat from the factory caused this leather sofa arm to lose its color layer.